Halloween Decor from Cubify #3DThursday « Adafruit Industries – Makers, hackers, artists, designers and engineers! Beyond 3d printing custom pumpkins, here’s an interesting approach to 3d printing stuff for halloween. 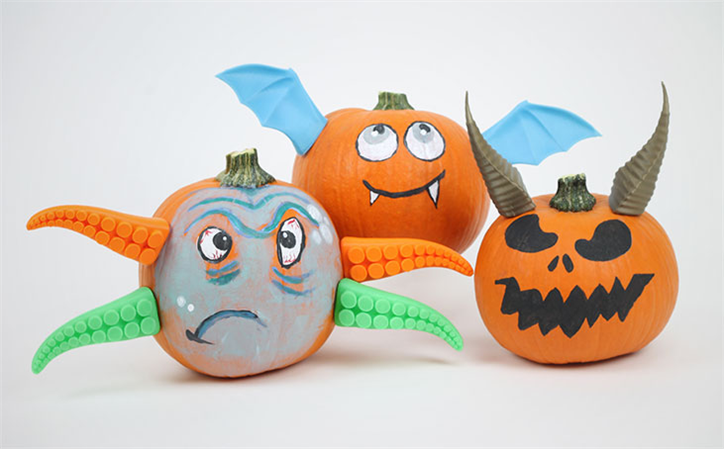 Design and 3d print elements that you can stick on actual pumpkins! In addition to painting or carving, you could add tentacles, bat wings and even devil horns to your tasty pumpkins. Since it’s plastic, you could reuse them year-round! Check out the article for more bat-crazy ideas. With Halloween just around the corner, now is the time that most people who celebrate the holiday begin their preparations. What costume will they being wearing? How will they decorate their house? What will be their plans for this year’s festivities? This year, 3D Systems’ Cubify website has launched a special Halloween section, making available several interesting 3D printable models to the public for free. These include all sorts of interesting decorations such as evil jack-o-lanters, spiders, bats, and skulls.